Break the cycle of exclusion with Headstart. Diversity recruiting software that levels the playing field for all candidates, by removing bias from recruiting. Recruiters, spend 80% of your time on the top 20% of talent. Isolate bias within your pipeline and improve time-to-hire. 15% bias reduction for Asian ethnic minorities, 18% bias reduction for Black ethnic minorities. Diversity in large organizations is more than a nice idea, and requires more than just good intentions. Screen with fairness and objectivity. Isolate bias at each stage of your pipeline. Screen high volumes in seconds, with machine learning models designed for your unique requirements. Automate pipelines to reduce time to hire, whilst increasing diversity in your talent pool. Make screening accessible for all candidates and stay connected to your talent pool. Use data science to identify potential and match candidates to truly suitable roles. Assess candidates fairly and contextually, using psychographic data as well as traditional screening points. Analyse role-fit and culture-fit, as well as personal traits, behaviours and motivations. 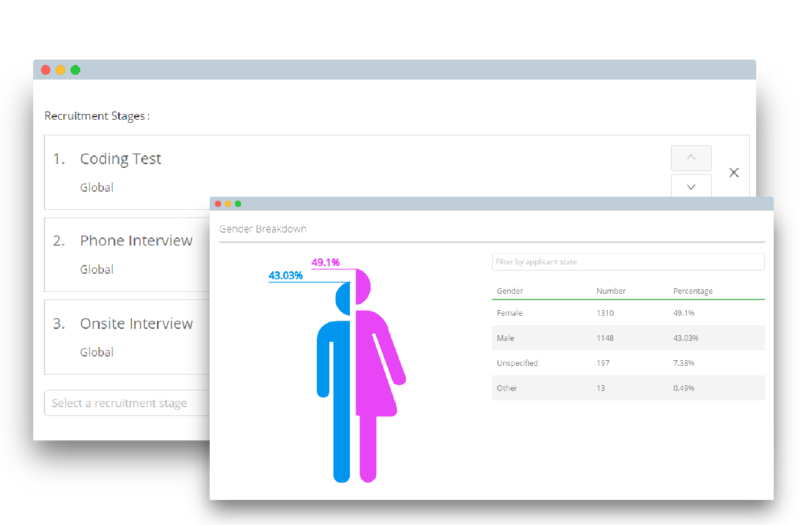 Use integrated analytics to isolate and measure bias within stages of your recruitment pipeline. Create meaningful change with clear, real-time analytics to increase the output of all HR tools and point solutions. Integrate existing solutions into an end-to-end platform, to measure total pipeline efficacy. View your pipeline like a customer journey, by assessing all stages in context. Get in touch to find out more and arrange a demo. It isn’t often you encounter a truly unique new offering in the recruitment market, so when you are faced with something as disruptive and innovative as Headstart, you have no choice but to jump on the bandwagon! For too long businesses have used recruitment strategies that have left talented and skilled graduates behind. Headstart is about correcting that mistake. It's about recruiting for the future. Headstart will enable us to attract the most talented candidates and match them with exciting job or rotational program opportunities. We believe in the great potential this disruptive piece of tech has. Headstart are disrupting recruitment by changing the way companies think about hiring talent. Rather than focusing on grades, education and experience, they concentrate on traits such as high performance and utilise AI models to help organisations recruit talent more efficiently. Contact Us © 2017 Headstart App Limited. All Rights Reserved.